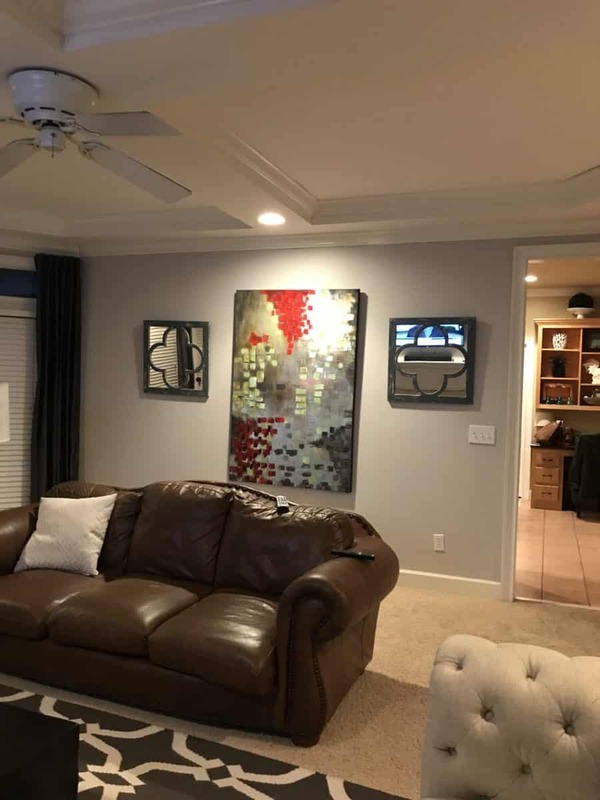 It is probably not surprising based upon the renovations of our homes that I am pretty passionate about remodeling and home projects both large and small. 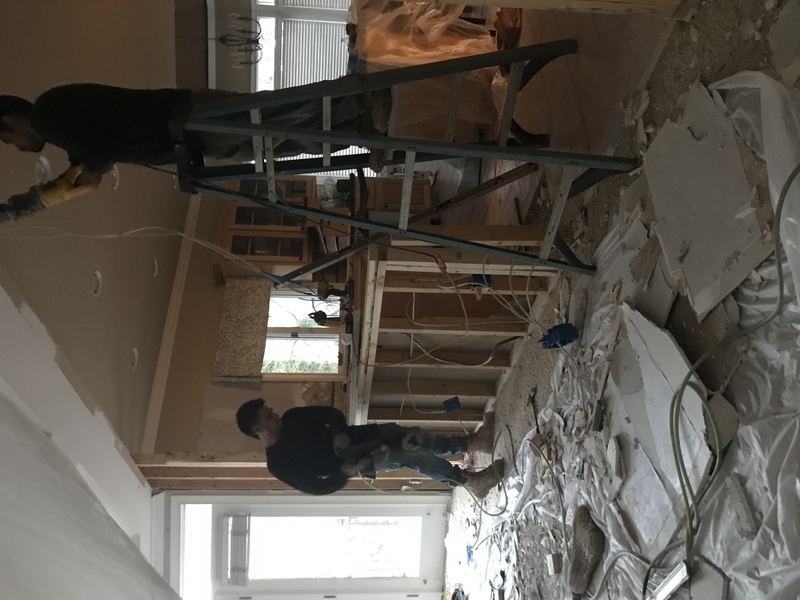 While it has been rewarding to remodel, sell a house and move within a few years, my family is a bit weary of the process. And quite honestly, I love our current home. The layout now feels more open and the location in town suits us perfectly. Yes, there are still plenty of projects to bring our home to a “finished” state. (If that is really even possible.) Once those projects are complete though, I don’t see the thrill of renovating and redefining spaces coming to an end. 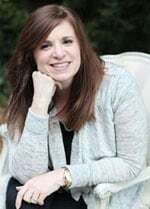 Realizing this, I began to dream about helping others with their renovations and design. 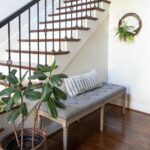 I was thrilled to help my best friend with her bathroom renovation this summer and then took on my first remodel consulting and design client in the fall. 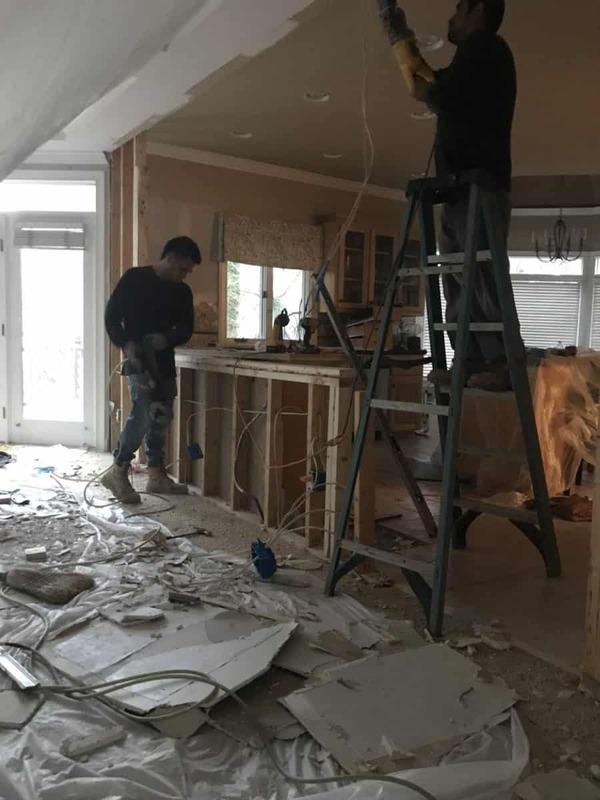 Today, with demo and re-construction well underway, I am thrilled to share the vision for the Stone Ridge Kitchen Reno. This project is turning out dreamy in so many ways! 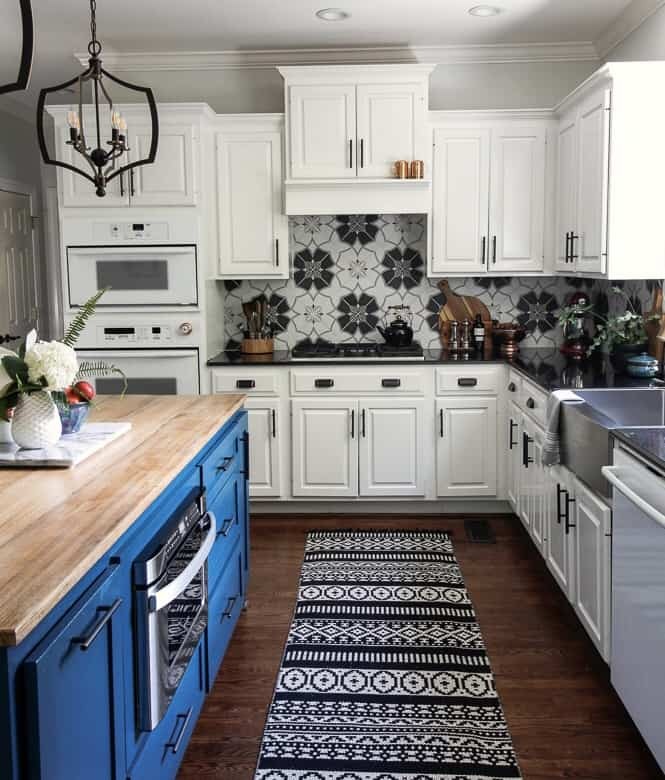 The client and I started with conversations on what she hoped her kitchen would look and feel like. 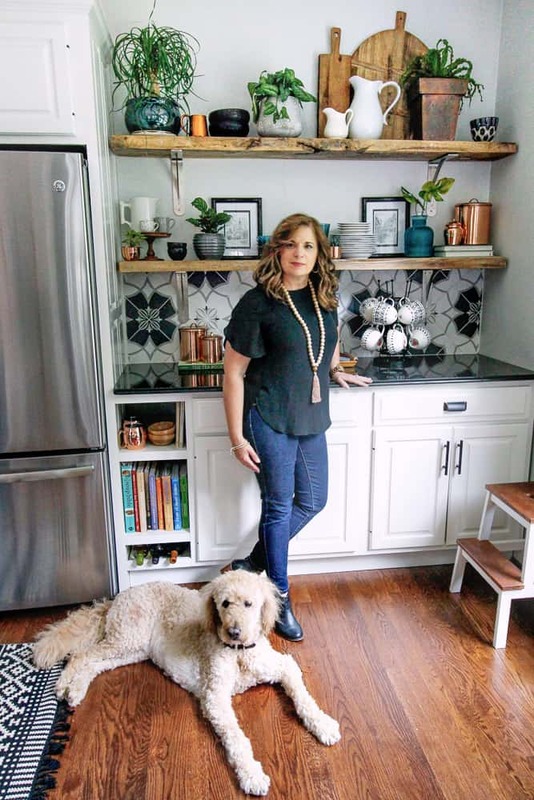 It was exciting to learn that she was open to a dramatic color on her cabinets. 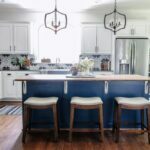 With the amount of light that would be spilling into the kitchen from a wall of windows and French doors from the family room, I knew we could totally pull off dark cabinetry in the kitchen. 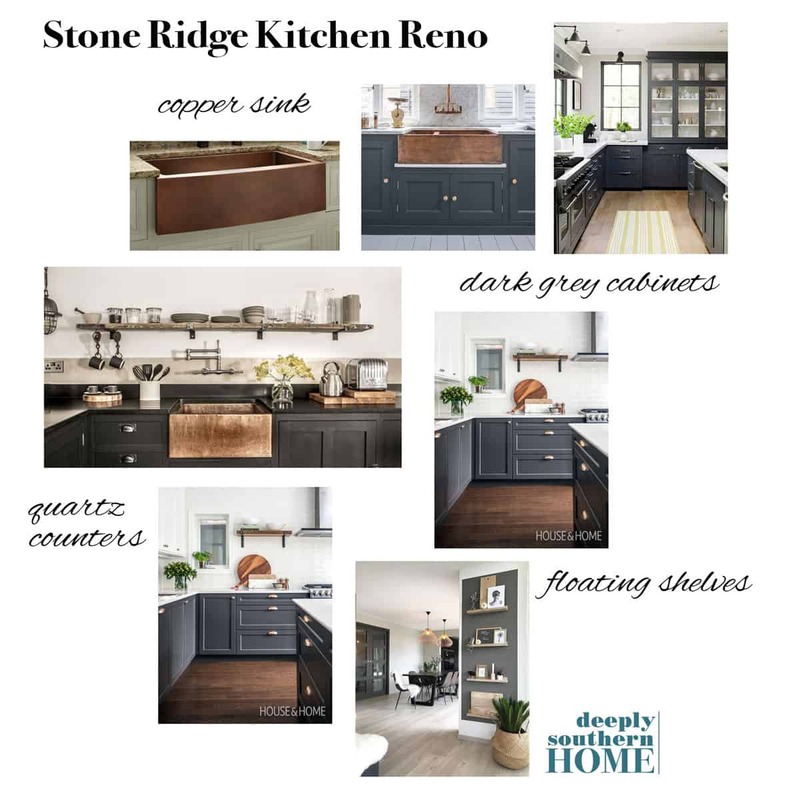 If you want to see the complete Stone Ridge Kitchen Reno Pinterest board for her renovations you can see it here. The homeowners also had a nice sized footprint overall for the kitchen but it was completely separate from the rest of the house. 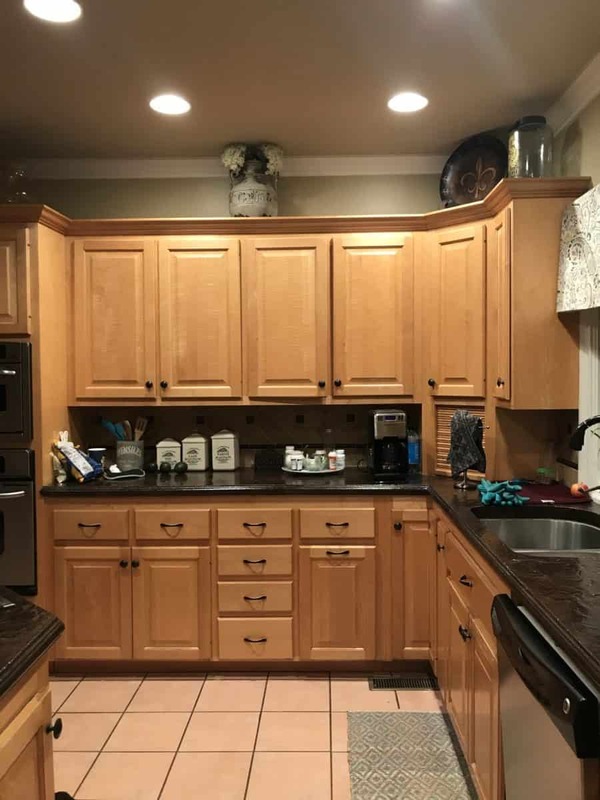 The most unfortunate part of the existing kitchen design was an awkwardly angled island. It was one of those islands that made you wonder what in the world was the designer thinking? Here are few before photos. 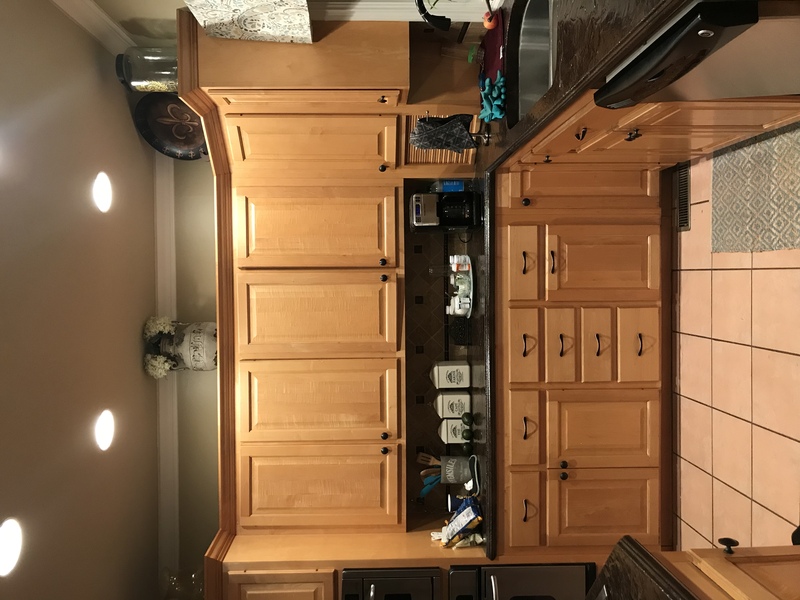 This wall of cabinets will be removed to open the kitchen to the family room. 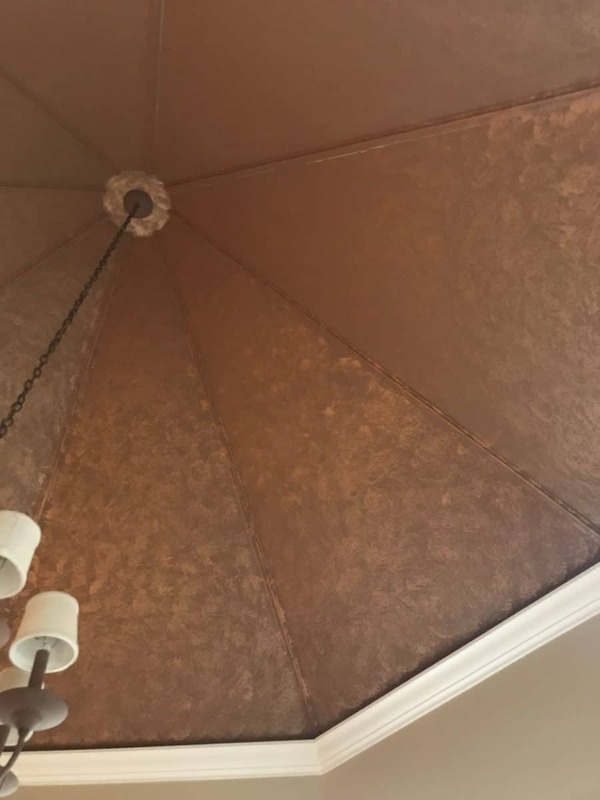 The inspiration for the design was taken directly from an existing faux finish copper ceiling. 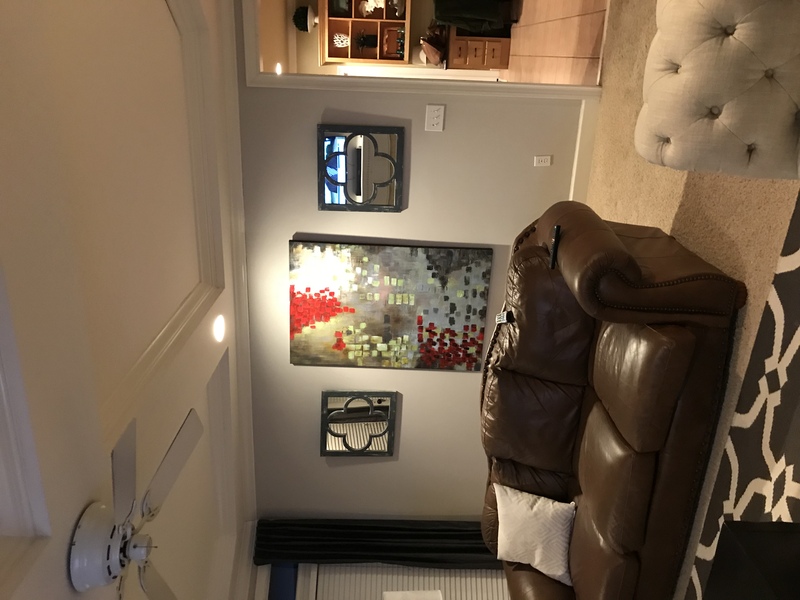 The homeowner was still happy with the look and I knew it would make a great starting point for the finishes in the room. 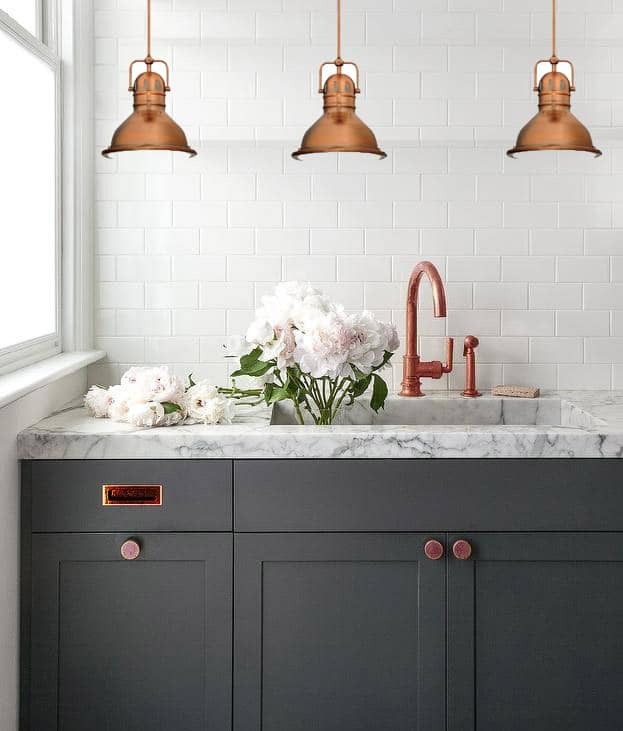 Copper will always be a classic but it is also having quite the moment right now in decor and finishes. 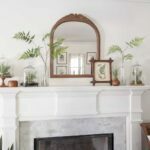 I love when traditional elements are brought back to life in a fresh way. While my 3D modeling skills are a little rusty, I wanted to pull together several of the design elements in one image to give her a tangible look at the overall feel for the design. 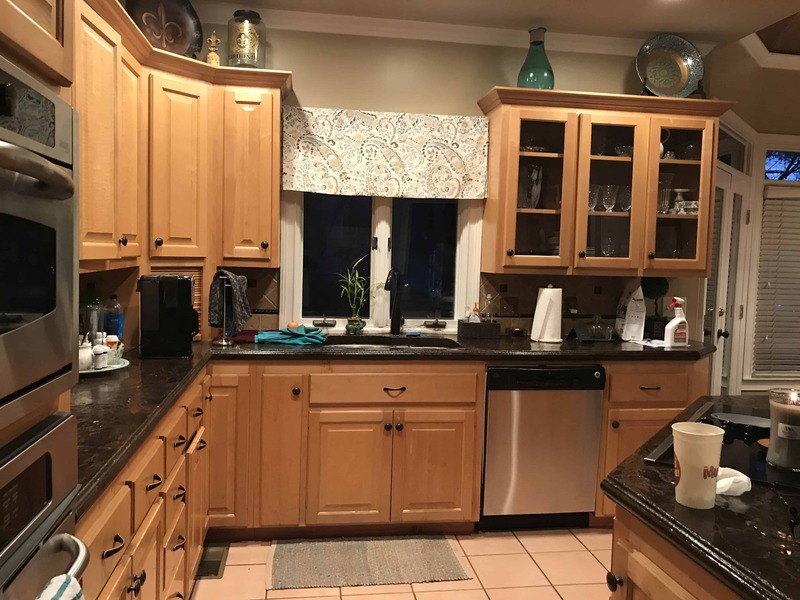 The existing cabinetry will be reconfigured where necessary and painted a dark grey. 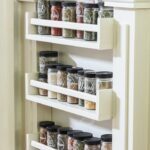 The new squared up island will be made more functional by adding a microwave drawer in addition to the existing cooktop. 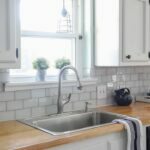 I added a microwave drawer to my own budget kitchen renovation and it is my favorite thing! Actually, it’s everyone’s favorite. It’s so convenient and makes you wonder why it took so long for the microwave to evolve to this design. Here’s a link to our microwave. While either of these options below would have worked. I had a hunch these lanterns would appeal to her Louisiana sensibilities. The homeowner is also from Louisiana and these lanterns are a nod to the popular look of gas lanterns. 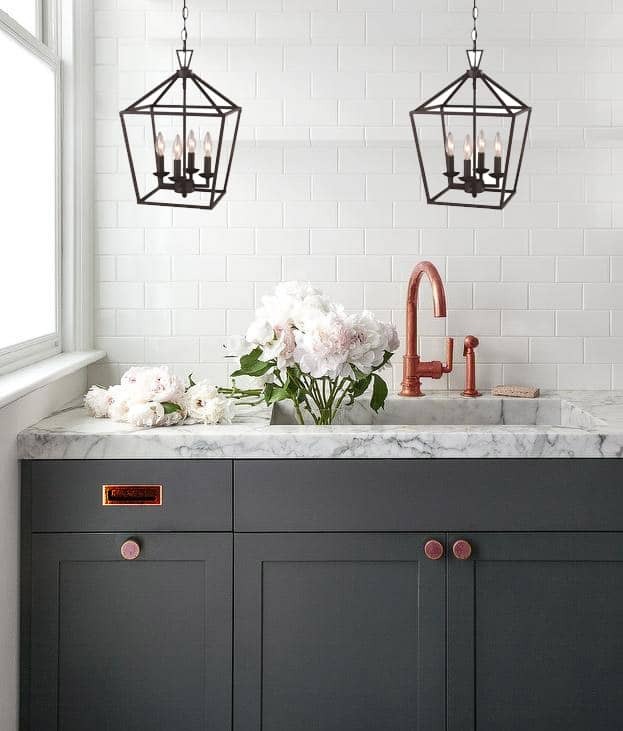 Using a pair of these larger scaled lanterns over the island provides task lighting and sets the traditional tone of the kitchen. 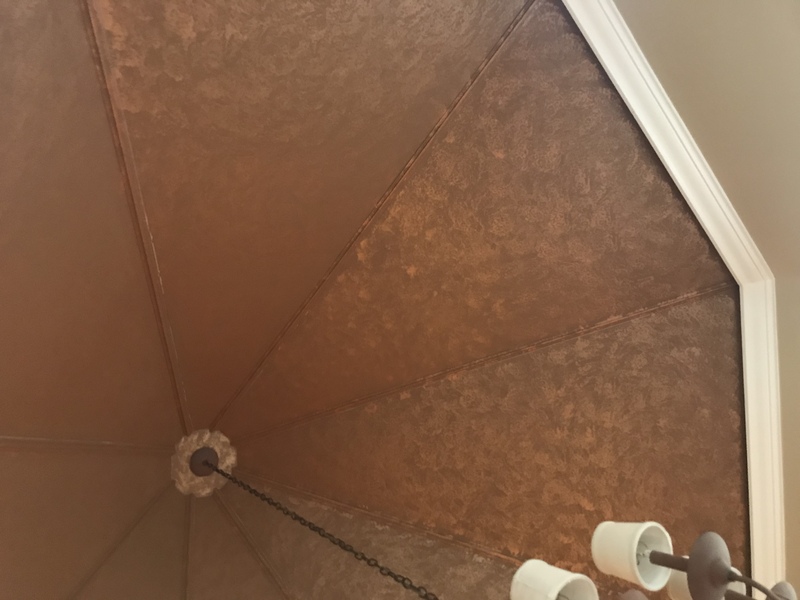 These copper lanterns would have worked as well, but leaned a bit more farmhouse in style and felt a little too casual with the cofffered ceiling in the family room. They were at a great price point so I thought it was worth sharing here. 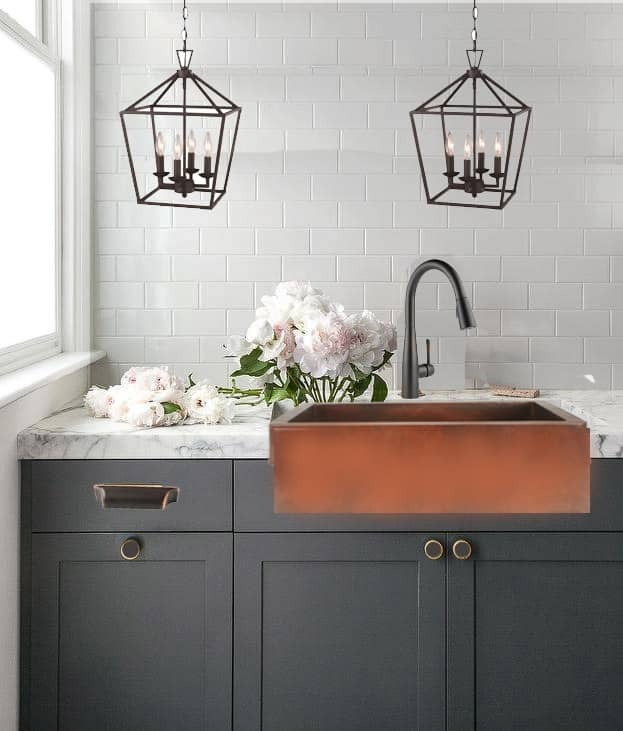 The other finishes in the kitchen beyond the copper sink and copper accents scattered around, will mostly be a black/bronze finish. Cousin to the super trendy matte black, but with a warmer look and a little more traditional. The wall between the family room and the kitchen has come down. In this transitional space will be a peninsula. 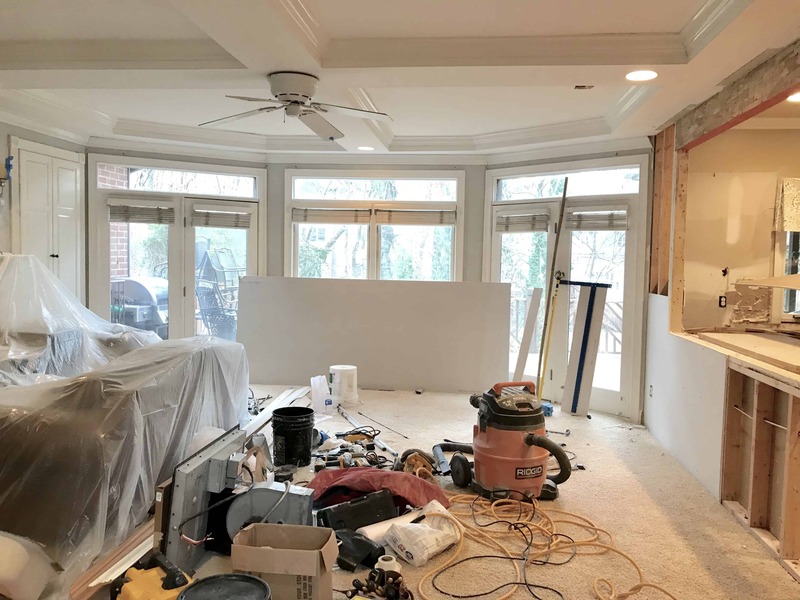 What you can not really appreciate from these photos is how opening the sight line from the family room, all the way to the eat in kitchen area, highlights the existing architecture. 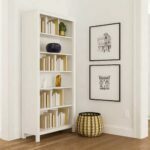 Opening up the space made all of the angles in each of the separate spaces feel more cohesive and actually creates a meaningful visual flow through the house. I had hoped to compile a fully linked mood board, but I am without a computer right now and I am writing this on my iPad. It’s a decent stand-in but definitely not the same workflow. I guess I’ll save that for the full reveal!! If you want to continue to follow along with all of the updates, be sure to follow me on Instagram and Facebook. The links are in the sidebar. 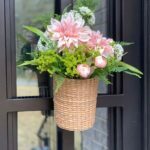 I’m so glad I found your blog – you are so talented! Would you mind telling me what color you painted the trail house kitchen walls? Thank you! 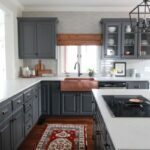 I just love this stone ridge kitchen renovation. These pictures are gorgeous. Thanks for sharing this post.